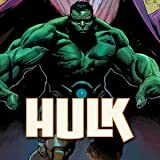 Doc Green, the Omega Hulk, continues targeting members of the extended “Hulk family” — Lyra the future She-Hulk, the Gamma Corps…and Thunderbolt Ross, the insanely powerful Red Hulk! But there’s no happy ending in sight as mistakes are made and science runs amok! As Doc Green’s wayward artificial intelligence continues causing problems, the Doc trains under Iron Fist and hires Deadpool for a very sensitive mission! But will Deadpool really betray Red Hulk, his former boss? Green and Red clash in an epic and violent grudge match between the two titans! 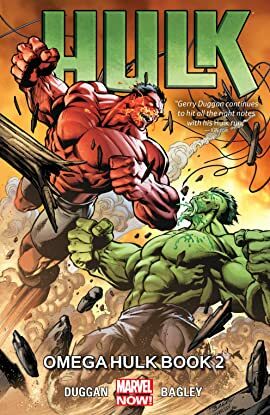 And as the U.S. military makes a surprising and game-changing alteration to their gamma-monster policy, Doc Green sets his sights on the last remaining Hulk: his cousin, Jen Walters, the Sensational She-Hulk! The Omega Hulk saga ends here! But what is Doc Green’s startling secret?